Ancient Green Farm, located in Mid-Coast Maine, is spread over 40 acres of reclaimed farmland surrounded by trees, stone walls & woodland streams. Blessed with fertile soil and a unique microclimate, the area is very conducive to farming of many kinds. 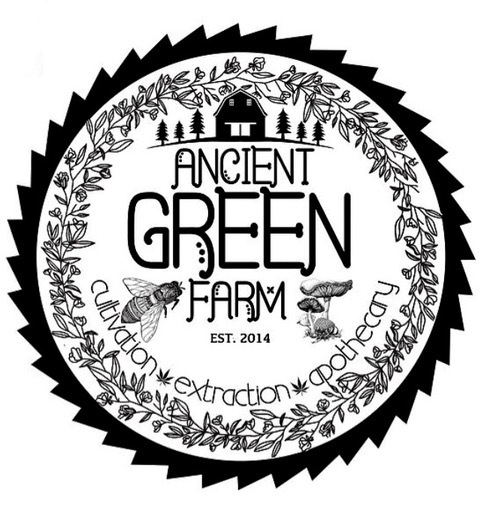 Ancient Green Farm is focused on producing high quality medical cannabis, CBD rich hemp, on Farm CO2 extractions and our own line of Medical THC as well as CBD products for the conscious consumer. Our mission began many years ago with the start of our first indoor grow in the small basement of a suburban home. Eager to help others by producing quality medicine, we knew there had to be a better, cleaner, more sustainable way. Our manifestations really began to take tangible shape in the fall of 2015 when we purchased the land that is now Ancient Green Farm. Spending time on the land, watching our efforts grow began fueling our passion in an entirely new way. We are blessed to steward this land, offer pure quality medicine and build our family legacy. Our cultivation practices include living soil hugelkulture, low till practices, reclaiming the land with the use of animals, selectively harvesting trees and replacing with food producing trees. Chickens free range the farm and gardens, keeping insect populations at bay, pigs forage the woods uprooting rocks and turning the soil. We divert and store rainwater in a pond located in the center of our land. Herbs, wildflowers and vegetables are interplanted throughout the gardens, and the biodiversity of plants here has multiplied and continues to thrive since we began working the land.